Some of you may remember that back in December 2011 I reviewed the unique divinatory set Tokens of Light by Orna Ben-Shoshan. I’m happy to say she’s back with “The AlphaBet for Lovers: Insights, Advice & Prophecies about Love and Relationships According to the Hebrew Alphabet”. If you were intrigued by “Tokens of Light”, you’re going to LOVE “The AlphaBet for Lovers”. “The AlphaBet for Lovers” is a set of 72 small (when compared to tarot) heart-shaped cards. 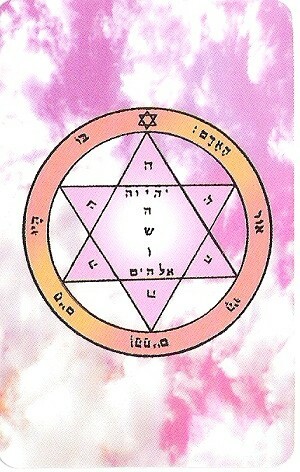 Each card has a letter of the Hebrew alphabet on it and according to Ben-Shoshan the Kabbalah attributes more meaning to these letters. A heart will have a beautiful piece of Orna Ben-Shoshan’s art on one side along with a number and the other side will have a short phrase that is associated with the Hebrew letter that is on the back. The set comes in a box designed to look like a book and with a pretty bag to carry the heart cards in. Although the name says “Lovers”, “The AlphaBet for Lovers” is designed for examining relationships in general. Relationships between co-workers, parent and child, etc. are all fair game for examination. Readings are relatively straight forward. You reach your hand into the bag and mix the hearts while focusing on your question. 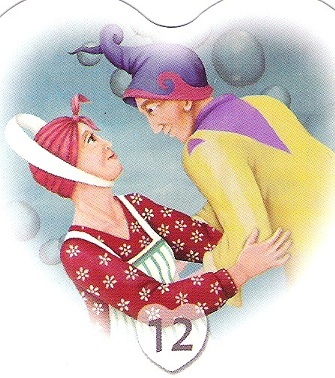 Once you feel your hand is drawn to a heart, you select it, and by using the number on the front of the heart you can easily look it up in the companion book and learn its meaning. And not too sound like an infomercial, but wait! There’s still more! If you go to her site you can also check out “The 9 Blessings: For Love, Health, and Success”. These are 9 Kabbilistic amulets on cards conveniently sized to carry in your wallet or purse. You could easily carry them in your pocket as long as you think you could remember to take it out before washing your clothes! 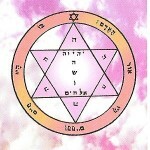 Once again Orna Ben-Shoshan has created an enchanting and unique divinatory set. To learn more, you can visit her site.